There were only 2 rounds played so far and it's still very beginning of the Regular Season in Liga Metropolitana. Here is the last round review presented by ESL. The most crucial game of the last round was a loss of Villa Nueva (0-1) at the home court on Tuesday night. Hosts were edged by Vacasi Sport (1-0) 79-78. Vacasi Sport made 22-of-29 free shots (75.9 percent) during the game. 24 personal fouls committed by Villa Nueva helped opponents get some easy free throw opportunities. Swingman Rodrigo Vallejo (-88) saved the victory by scoring 24 points and 8 rebounds. Forward Alejandro Izaguirre (191-87) contributed with 16 points and 7 rebounds for the winners. Vacasi Sport's coach used an eleven-player rotation in such tough game. 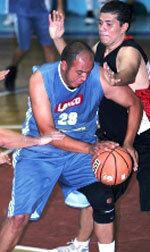 Forward Enrique Samayoa (193-82) replied with 19 points and 8 rebounds for Villa Nueva. Vacasi Sport is looking forward to face GMS (#4) in the next round. Villa Nueva will play against Pampichi (#8) and it may be a tough game between close rivals. The game between ELOHIM (1-0) and La Villa (0-1) in Chimaltenango ended with biggest points difference. ELOHIM outscored guests from 88-34. Point guard David Monterroso (180-79) scored 28 points and 9 rebounds to lead the charge for the winners and Bernie Diaz chipped in 11 points and 10 rebounds during the contest. ELOHIM's coach Estuardo Arriola felt very confident that he used 11 players which allowed the starters a little rest for the next games. Jose-Alfredo Montenegro (-89) responded with 10 points. Both teams do not play next round, which will be an opportunity for some rest. The most crucial game of the last round was a loss of Villa Nueva (0-1) at the home court on Tuesday night. Hosts were edged by Vacasi Sport (1-0) 79-78. Vacasi Sport made 22-of-29 free shots (75.9 percent) during the game. 24 personal fouls committed by Villa Nueva helped opponents get some easy free throw opportunities. Swingman Rodrigo Vallejo (-88) saved the victory by scoring 24 points and 8 rebounds. 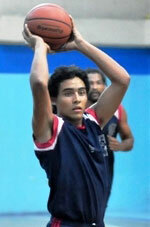 Forward Alejandro Izaguirre (191-87) contributed with 16 points and 7 rebounds for the winners. Vacasi Sport's coach used an eleven-player rotation in such tough game. Forward Enrique Samayoa (193-82) replied with 19 points and 8 rebounds and Alejandro Carrilo added 16 points and 9 rebounds in the effort for Villa Nueva. Five Villa Nueva players scored in double figures. Vacasi Sport is looking forward to face GMS (#4) in the next round. Villa Nueva will play against Pampichi (#8) and it may be a tough game between close rivals. The game between ELOHIM (1-0) and La Villa (0-1) in Chimaltenango ended with biggest points difference. ELOHIM outscored guests from 88-34. ELOHIM dominated down low during the game scoring 58 of its points in the paint compared to La Villa's 26. They outrebounded La Villa 46-23 including a 35-19 advantage in defensive rebounds. 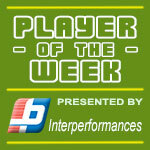 ELOHIM players were unselfish on offense dishing 28 assists comparing to just 7 passes made by La Villa's players. Point guard David Monterroso (180-79) scored 28 points and 9 rebounds to lead the charge for the winners and center Bernie Diaz (200-81) chipped in 11 points and 10 rebounds during the contest. ELOHIM's coach Estuardo Arriola felt very confident that he used 11 players which allowed the starters a little rest for the next games. Jose-Alfredo Montenegro (-89) responded with 10 points and Mynor Castilllo (-87) scored 6 points and 5 rebounds. Both teams do not play next round, which will be an opportunity for some rest.